London-based Canadian artist Jenny Moore (Charismatic Megafauna, F*Choir) and her rabble rousing vocal ensemble present a testament to the intimacy and intensity of communal singing, on a choral-punk album of epic scope. 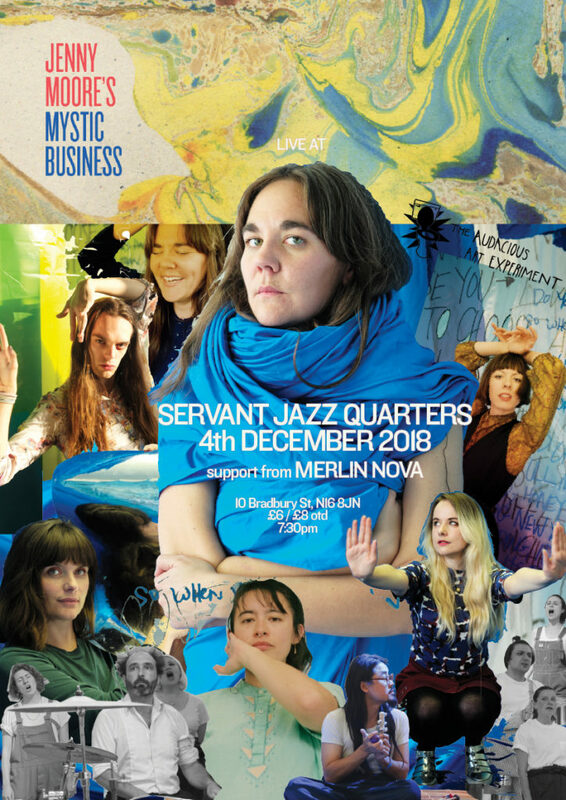 With raucous maelstroms, droning incantations, sweet solos and meditative murmurs, Mystic Business encompasses the macro and the micro, the political and personal, the ancient and modern: from philosophy to Mini Cheddars, ‘who’s God?’ to clickbait, the apocalyptic to the small human drama. Gang yells, rounds, stamp-claps and hot breaths shift to exhilarating choral arrangements that are complex but compulsively sing-along-able and catchy as hell. These are fortifying mantras to fall back on in uncertain moments: ‘We quit!’, ‘We want our bodies back!’, ‘I don’t want to choose you/I don’t want to choose anything!’, or ‘We are terrified… We are angry… We are hopeful… We are on the internet’. MERLIN NOVA is sound, song and movement. Ecstatic energy blast. Clear-cut. Quick fix. Immediate. Set scene sound. Landscape, temperature and feeling. Here with you, together.